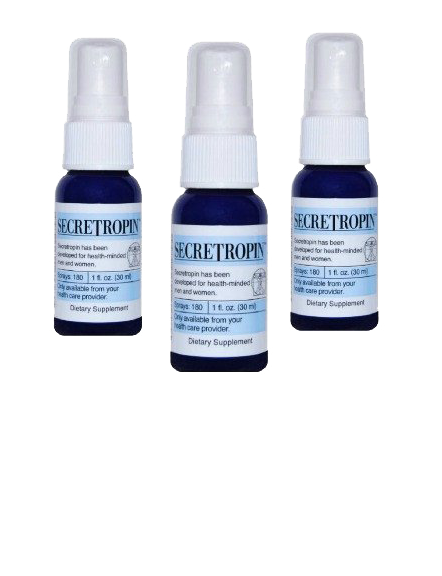 Secretropin is composed of very specific ingredients in a microscopic nanoliposomal droplets dispensed in a sublingual spray, to enhance the body’s health. This bypasses the degradation effect of the stomach acids. Because of its delivery system, only a very small amounts are necessary to stimulate the body’s healing processes, without the bowel discomfort when using large amounts of amino acids as provided by other products. Secretropin was developed in 2001 and released after a clinical study on 25 healthy individuals. Between 2001 and 2006, Secretropin was being marketed as O-Tropin by Orenda International and has been distributed in the United States and worldwide for fifteen years without any issues, complaints or side effects. In 2006, Secretropin entered the medical community so that it could be closely studies in a variety of individuals by trained physicians. Laboratory testing was performed on each patient for documentation of efficacy and safety. In the past ten years, over 20 million doses of Secretropin have been dispensed, worldwide without a reported side-effect, a complaint or return of the product, either from a doctor or a patient who has used the product. 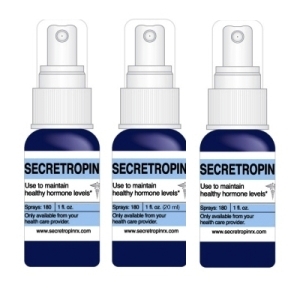 Secretropin Users Love Using IT! I have recently introduced secretropin to my patients and for your records, my patients (14) have had dramatic increased IGF1 results and interestingly, elevation in their HDL. My oral surgeon told me that I recovered from my surgery faster than he would have predicted. I also won a swimming race of all seniors at my YMCA this past week. Each 20 ml bottle contains enough specific amino acids to last one to two months, depending on dosage. Cost is $120 USD per bottle. Discounts on the purchase of three or more bottles. Professional pricing for Doctors, Health Professionals and Pharmacists.